Augustus Owsley Stanley III, the chemist who made up copious amounts of LSD for musical stars including The Beatles, Hendrix and The Grateful Dead has died in a car accident on Sunday in Australia. His car swerved off the highway and hit a number of trees in the northern Queensland town of Mareeba, killing him and injuring his wife Sheilah. Stanley, had worked with a number of artists as their personal chemist, occasional sound engineer and in the case of The Dead, their financial backer. 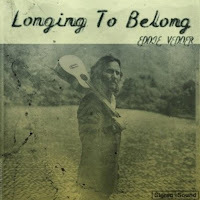 Have a listen to Longing To Belong, the first single from Pearl Jam frontman Eddie Vedder’s forthcoming solo album, reportedly called Uke Songs, which we’re learning is due out this June. The record, which could very well be an all-ukulele album, is bound to follow the same adventurously introspective spirit that carried the Into The Wild soundtrack to such great heights. It’s likely to also include a few other gems that Vedder’s penned over the years but played only sparingly. Bob Dylan will play his first ever show in Vietnam next month, it has been announced. The singer, whose songs such as 'Blowin' in the Wind' and 'The Times They Are a-Changin' became important with the anti-Vietnam war movement of the 1960s, will appear in Ho Chi Minh City on April 10. Dylan will play at the 8,000-plus-capacity university stadium in the southern commercial hub of Ho Chi Minh City as part of his current Asian tour. Roadrunner Records, along with two of its stellar, standout metal bands, OPETH and MACHINE HEAD, will be participating in Record Store Day this April 16th. Exclusive for Record Store Day 2011, OPETH will release seven-inch vinyl of "The Throat of Winter". The track, which was originally featured on the "God Of War: Blood & Metal" digital EP, will see its first and only physical incarnation with this special release. Side B of the seven-inch is etched with the band's logo and jacket artwork was created by longtime OPETH collaborator Travis Smith, with direction from Mikael Åkerfeldt. Exclusive for Record Store Day 2011, MACHINE HEAD will release 10-inch vinyl, aptly titled "The Black Procession". The set includes three previously unreleased live tracks that were recorded along 2010's Black Procession Tour, in support of the band's last studio effort, "The Blackening". In January 2011, Flying Lotus launched the webcam application, Trigger. In a complete first, the application allowed owners of the landmark album Cosmogramma to scan their copy's artwork, and in return receive outtakes and new versions of music from the creation of the record as a thank you. "I'm really into old jazz traditions and I felt Cosmogramma was my jazz record in a sense. In that spirit, for anyone who's bought the album, we've made something they can use to get new tracks and alternate takes from the original Cosmogramma sessions as a gift from us." After launch, social networks were abuzz with fans talking about this never-before-seen interface, discussing the new music and experimenting with secret combinations of images to unlock further, hidden tracks. Released on Record Store Day: April 16, 2011. Bibio's new album Mind Bokeh is released on April 4th. Hüsker Dü set to release “Don’t Want to Know if You Are Lonely” as a 7″ single, which they originally did in the UK in 1986 (in the US the release was on 12″ vinyl and included a cover of “Helter Skelter” as a second track on side A). Only this time, instead of the exclusive non-album B-side “All Work and No Play”, it’s Green Day doing their cover version of the A-side. “Don’t Want to Know if You Are Lonely” was the single issued alongside Hüsker Dü’s first major label LP, Candy Apple Grey, which was also their sixth and penultimate LP. Green Day’s contribution to the new product will most likely be their rendition as recorded on the MTV show Influences. Warner Brothers Records has confirmed that Eric Clapton's classic 1992 album Eric Clapton Unplugged will be released as a new vinyl edition for Record Store Day on April 16. Record Store Day celebrates independent record stores and the new vinyl pressing will be available in limited quantities. The new edition of Eric Clapton Unplugged will include two LP's pressed on 180 gram vinyl. Here is the tracklist and cover art for Death Cab for Cutie's upcoming LP 'Codes and Keys,' which hits stores on May 31 via Atlantic.. In 1945, Billboard magazine began listing a top albums chart. The first #1 was "The Nat King Cole Trio." Also in 1955, Elvis Presley signed a management contract with “Colonel” Tom Parker, who had previously managed country stars Eddy Arnold and Hank Snow, and also the Great Parker Pony Circus with one of the acts being a troupe of dancing chickens. In 1969, Tommy Roe started a four-week run at #1 on the U.S. singles chart with “Dizzy,” also a chart-topper in the UK. In 1972, DJ Robert W. Morgan jokingly played Donny Osmond’s “Puppy Love” for 90 minutes on station KHJ in Los Angeles. LAPD mistakenly raid the station studios after receiving numerous calls from listeners but the confused officers leave without making any arrests. 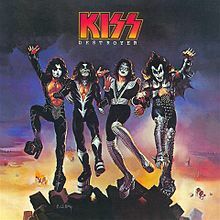 Destroyer' was released by KISS in 1976. In 1986, the Bangles were at #2 on the U.K. singles chart with “Manic Monday,” a song written by Prince under the pseudonym Christopher. In 1989, The Rolling Stones signed a $70 million contract to play 50 North American dates - the largest contract in rock history. In 2002, Yoko Ono unveiled a seven-foot bronze statue of John Lennon overlooking the check-in hall of Liverpool John Lennon Airport.